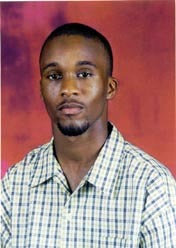 In the summer of 2002, FM Ryan Harper reached a climax of his chess accomplishments by winning the Trinidad National Championship by a dominant 11-0 score. This is quite an accomplishment for the 25-year old from Port-of-Spain considering that his compatriot NM Christo Cave had won the tournament 10 years running. Ryan learned the moves from his father, but it wasn't until he attended Queen's Royal College (secondary school) that he took an interest. It was at QRC that he met other junior players in Trinidad and played in his first tournament. While Ryan never won the National Junior Championship, he did win a National under-16 Championship. As a junior, he also represented Trinidad in international tournaments. "I played in Curacao International Youth Chess Tournament 1995 and placed second under Terry Farley. I played in Barbados Junior Open 1996 which I won," states FM Harper. He went on to win his FM title at the 2.3.5 Subzonal tournament in Venezuela in 1999. In describing his training methods, FM Harper suggests one to, "… find middle game positions and games related to your openings and work on them a lot. Find books on your favourite openings and work on your openings. Knowledge of endings are very important and must be studied especially Bishop and Knight and Rook and Pawn endings. Great knowledge of such endings are very powerful weapons in the middle game." FM Harper has a contingent of players that he coaches at the Internet Chess Club (ICC) from countries such as Brazil, Australia, Belgium and the USA which have brought him sterling results. He is known by the handle of "gringo." When he is not studying chess, Ryan may be managing his "sound system," a group of DJs who play at public and private parties as well as the entertaining spectacles known as "Sound Clashes." He also enjoys playing "sweats," or pickup soccer matches. As far his chess endeavors are concerned, FM Harper has his sights set on winning the IM title and will have such an opportunity when he represents Trinidad in the Chess Olympiad for the second time. He will play board #1 at the 2002 Chess Olympiad in Bled, Slovenia, an improvement from his board #4 position at the Chess Olympiad in Istanbul, Turkey in 2000. See Harper-Ramsingh, Trindad National Ch., 2002.